Are you a student, employee or a business owner in need of Canada immigration services? Working with a good lawyer can make a difference. Read on to learn more. Immigration to Canada has been steadily increasing for years. In fact, more than 20 percent of the Canadian population is now foreign-born, and that number rises each year. Maybe you're a student looking to travel to or from Canada to attend a University or study abroad program. Or you're a business looking to send employees abroad for work, or an employee transferring for work. Perhaps you're just looking to move in or out of Canada, and experience life in a different region than you're used to. Whatever your reasons for moving, there are tons of Canada Immigration Services that you could be getting from a good lawyer. They'll be able to help you navigate the process from start to finish. They'll help you to better understand laws or to navigate red tape. In the end, they may even be able to help you expedite the process, or avoid failure. No matter your reasons for moving, keep reading to learn more about 6 of the Canada Immigration Services that you could be getting from a good lawyer. Before you can start the process of becoming a citizen of Canada, you're going to need a visa. If you're a student looking to study in Alberta, you'll need a student visa. If you're coming to Canada for work, you'll need a work visa, even if you're simply transferring to a new position in a company that you already work for. If you're seeking asylum, moving to be with family, or even just visiting the country long-term, you'll still need to navigate the process of obtaining a visa. Navigating this step of the Canada Immigration Services can be tough without a lawyer. Making sure that you're applying for the right visa, and then providing the right documentation, is key. Without these two key details, your application could get rejected, or suspended. This can cause time delays that you may not be able to afford. For students or employees, it could cause you to miss the start of a school year or important work dates. For those immigrating to the country, this could put you in limbo, especially if you're no longer able to reside in your previous country of origin. A lawyer will be able to simplify the visa process for you. They'll help ensure that you choose the right visa, and that you have the right documentation ready to go. If you're not immigrating on your own, the steps of the Canada Immigration Services become even more complicated. If you're traveling with your spouse or children, or if you plan to bring them over at a later date, you're going to need professional help. Otherwise, it can be tough to line up your immigration documentation. This can mean that you or your children may get approved, while your spouse or other children don't. If you're a refugee, this can mean that only part of your family can get to Canada, leaving the rest behind or forcing you all to stay. If you're not married to your children's mother or father, this can make the process even harder. You'll need to navigate the process of seeking permission to immigrate with your children. A good lawyer will be able to help ensure that your family can immigrate together, that way no one gets left behind. Nations around the world have tightened their immigration laws in recent years. Now, the process of immigrating anywhere is often tight with red tape. Navigating the countless laws, complicated bureaucracy, and other issues on your own can be a stressful, difficult process. In some countries, it can be almost impossible. Navigating Canada Immigration Services can be a timely process. Not only will you need to invest a lot of time learning the laws and figuring out what documentation you'll need, but you'll also have to wait for each step of the process to clear the legal hurdles. Lawyers already have the knowledge and skills it takes to begin the process, saving you valuable time. There could be a law standing in your way of immigrating to or from Canada, and you may not realize it until it is too late. But a lawyer will be able to tell you right away what obstacles you're going to face during the process, and help you determine the best steps for overcoming them. 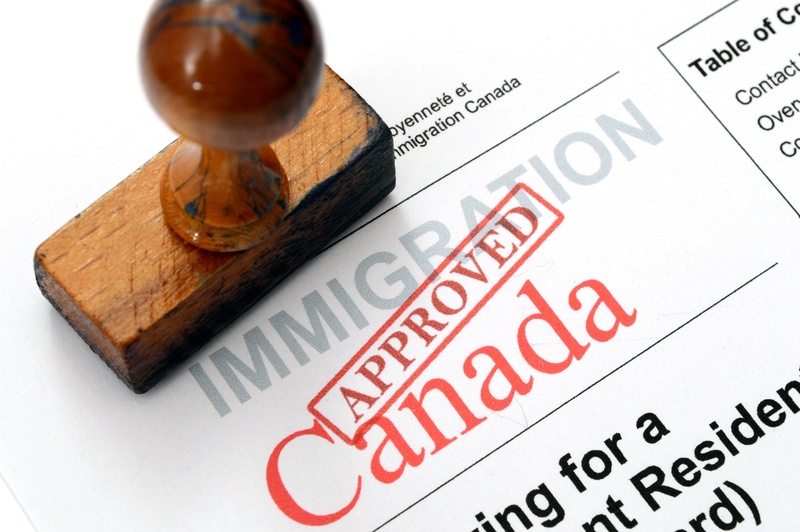 While you are legally allowed to apply for immigration through the Canada Immigration Services without a lawyer, statistics suggest that you may be at an increased risk of rejection, or at least of having a prolonged period of approval. Reports have shown that those who utilize a lawyer to navigate the immigration process may be more likely to be approved, and to be approved quickly. If time is limited, or if you absolutely need to immigrate to or from Canada, it's best not to leave your status up to fate. Increase your chances of a fast approval with the help of a good lawyer. If you've decided to immigrate to or from Canada, or are even just looking to obtain a visa to visit the country, it's time to seek professional help. With the help of a good lawyer, you'll be able to navigate this frustrating, complicated process with ease. You'll be able to start the process faster, and may even obtain the necessary visa faster. Plus, you'll get emotional support throughout this stressful process. If you need to immigrate, you can't afford to try to overcome this process on your own. Contact us today to see how we can help ensure that you get the documentation that you need to immigrate to or from Canada. This entry was posted in Canada Immigration Services by verhaeghelaw. Bookmark the permalink.